All are welcome regardless of race, color, creed, or orientation. God blesses us with different gifts and abilities and calls us to be good stewards of them in the church and in the community. The church supports and encourages any ministry that carries our beliefs through: Prayer, Action, Learning, or Service (PALS). The church equips its members for ministry through training and support to enable us to be faithful in our endeavors. The Bible is the story of the relationship between God and God’s people. It is central to our identity, worship, mission, and understanding of God’s will. Our people have the undisturbed right to interpret the Bible according to their conscience. “In addition to our other stated core beliefs and values, the Church in the Wildwood is an Open and Affirming congregation. Hopefully, this will give you a better understanding of the general beliefs of the Church in the Wildwood. We welcome visitors and guests at all of our services, so we encourage you to join us one Sunday at 10:30 for worship, and 11:40 for coffee, fellowship, discussion, and debate! We believe in the eternal God, the Creator, Who calls worlds into being, Who created people in the Divine Image, and Who seeks in Holy Love to save all people. We believe that God came to us in Jesus Christ and shared our lot, and that Jesus Christ is the sole Head of the Church. We believe that God bestows on us the Holy Spirit. We seek to be led by the Spirit of God, so that the presence of the Holy Spirit binds us in covenant and guides the redemptive work of God in the world. We value scripture. We value Biblical truths. We value the ancient creeds. We consider ourselves descendants of the first apostles of Jesus who roamed the world with the good news of God’s Love. We honor the Protestant Reformers of the 1500s. We also honor modern peacemakers, including Martin Luther King, Jr., and Mother Teresa. We are disciples of Christ. We believe that we are called to resist evil, to confess and repent for our sins, to forgive, to live in Grace, to love, and to allow our relationship with God to direct our life. We practice baptism to connect people into a community of love, support, and care. We experience worship as an encounter with God that leads to doing God’s will in the world. We participate in Holy Communion as a remembrance of Jesus’ last supper, death, and resurrection and as a call to sacrifice as disciples in the one Body of Christ. We are an inclusive community of faith. Throughout life, along our personal spiritual journeys, each of us should have room to explore. Honest thought and expression are vital to our spiritual growth. 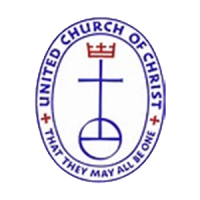 So we seek to be a united and uniting church that honors diversity — a family of faith in which each individual is valued and loved. We are servants in the service of others. Our love for God is reflected in our actions. We seek to be attentive, responsive, and supportive as we care for the sick and dying, comfort the afflicted, and reach out to help the poor and the poor in spirit. We advocate, sometimes courageously, for justice and peace. With mercy we stand up for the maltreated, the oppressed, the troubled, and the suffering. We advance nonviolent solutions to local, national, and international problems. We also strive to be good stewards of the Earth. We believe that all people belong to God, regardless of race, gender, orientation, class, or creed — and so human rights and equal opportunity belong inherently to all people. We stand for equality, for civil rights, for women’s rights, for gay rights, for workers’ rights, for the rights of innocent political refugees, and for enabling people with disabilities to lead the fullest lives possible. We seek to liberate the oppressed. When necessary, we speak truth to power.